Bad credit is a more common problem than you might expect. Over 30% of Americans suffer from bad credit. Another thing you might not realize is that bad credit makes your daily life harder and more expensive. For example, bad credit can lower your odds of getting a good apartment. It also drives up the costs of common bills such as utility services and car insurance. Fortunately, bad credit isn’t a life sentence. 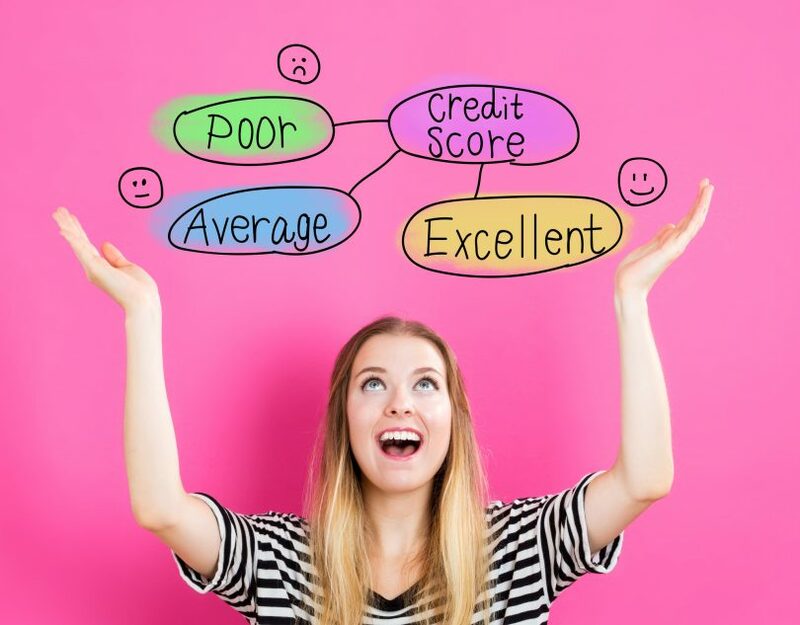 You can do key credit repair activities that will improve your credit score over time. Keep reading and we’ll cover five key credit repair tips. Before you take any actions, you must know what needs work and what’s okay. That means getting copies of your credit reports. You can get free copies of your credit report by visiting annualcreditreport.com. Why do this? Because your credit reports contain a ton of important information about your past and current financial activities. You should take the time and read through all three reports. Look for things that lower your credit score like past due accounts, charged-off accounts, and lots of hard pulls. When you apply for a line of credit, like a loan or credit card, the bank does a credit inquiry or hard pull. These inquiries stay on your credit report for a couple years. While an occasional hard inquiry doesn’t hurt you, lots of them make you look like a risk. Also, keep an eye out for mistakes in the reports. Highlight those mistakes so you can find them easily. It’ll help with our next tip. Let’s say your credit report shows that you owe a collection agency some money. The only problem is that you already paid off that bill. It’s annoying, but it does happen sometimes. All you really want is for the report to say that you paid the debt. You can go a couple of different ways to make that happen. You can ask the collection agency, store, or credit card to update the credit bureaus. As a general rule, you should make the request by mail. This lets you keep your own copies of anything you send. It also lets you use certified mail, which leaves a paper trail. Most organizations will simply update the credit bureau when they get your correspondence. If they don’t respond and don’t inform the credit bureau, you must dispute the error with the credit bureaus. Again, send the dispute by mail. The credit bureaus must investigate within a certain period of time, typically a month to six weeks. If the investigation goes your way, the credit bureaus will update your reports with the correct info. Fixing errors will help your credit, but you must also get problem debts under control. Don’t assume your biggest debts pose the biggest problems. The longer a debt goes unpaid, the more it hurts your credit. So, let’s say your utility bill is $400 and one month late. Let’s also say your cable bill is $120 and three months late. That late cable bill might damage your credit more, even though it’s a smaller bill. Organize your debts in order of lateness. Put things in collection at the top because those are your oldest bills. Follow that with your late or overdue bills. Then, list debts with on-time payments. Organizing your debts this way can help you decide which debts need attention first. Reducing your total credit card debt is a key credit repair tactic. 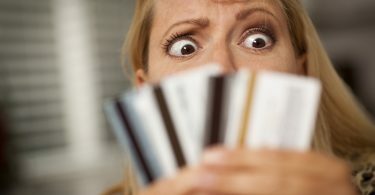 The amount of credit card debt you carry determines your credit utilization ratio. Your credit utilization ratio is, essentially, how much of your credit you use at any given time. The ratio goes up the closer you get to your credit limits. A higher ratio hurts your credit more. Remember, it’s not only about how much credit card debt you carry. Let’s say you and your buddy Tom both carry $1500 in credit card debt. Your total credit limit is $2000 and Tom’s total credit limit is $4500. Your credit utilization ratio is 75%. Tom’s ratio is around 33%. Your ratio hurts you because it’s high. Tom’s ratio probably doesn’t hurt him much, if at all, because it’s relatively low. Say you cut your total credit card debt to $700. Your ratio is now around 35% and will automatically improve your credit. First things first–you should always pay survival bills first. Putting food, shelter, and utilities at risk is never a good idea. You need those things. Eventually, you want all your old debt paid off. When making your first choices, though, you should probably start with past due bills. On-time payments play a big role in your credit score. Getting bills current and keeping them current is a slow but certain path to better credit. Paying your past due bills also prevents them from turning into collection accounts. After you get your current bills up to date, turn your attention to those collection accounts. They stay on your credit report for years, but paying them off does help your overall credit. You also face a choice with creditors between paying in full or paying a settlement. A settlement will close the account, but it doesn’t help your credit as much. On the other hand, a settled account helps your score more than an open collection. Bad credit can make your life difficult in obvious and subtle ways. Improving your credit can only help you in the long run. There are several key credit repair actions you should take. Get your credit reports and dispute any errors. Organize your debts so you know what you face. Deal with your past due bills and reduce your credit card debt. Each of these actions brings you one step closer to healthy credit. Credit Repair Answers offers information and advice about fixing your credit. For questions or comments, please contact us.